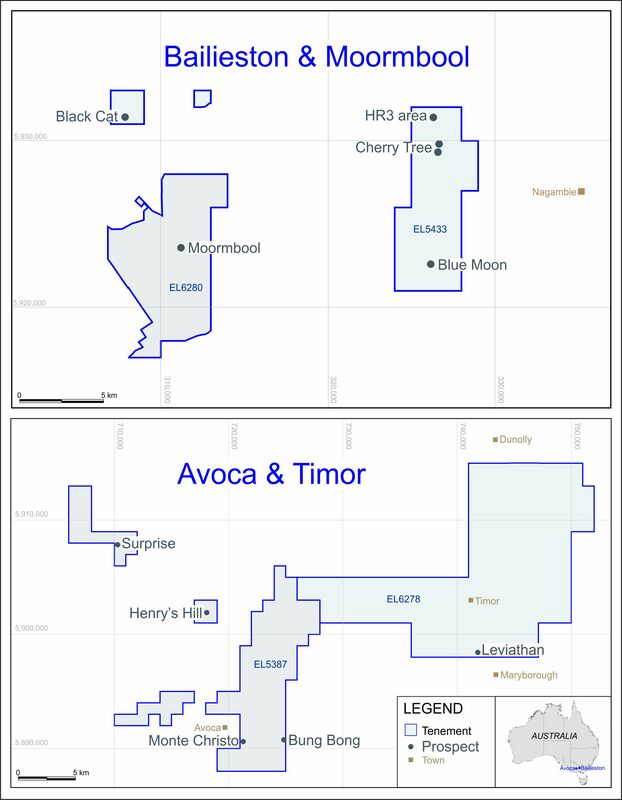 London: 19 December 2012 - ECR Minerals plc is pleased to draw attention to the news release made today by THEMAC Resources Group Ltd (“THEMAC”). The full text of the release is provided below. The Company also provides the following update with regard to its holding in THEMAC and its former holding in West Wits Mining Ltd.
ECR is aware of its shareholders’ enthusiasm for THEMAC and the Copper Flat project and in view of this the Company’s directors (the “Directors”) are considering the possibility of a distribution to ECR shareholders of part of the Company’s holding of THEMAC shares and warrants. Presently the book value of ECR’s investment in THEMAC is substantially in excess of the Company’s market capitalisation. By distributing some of the securities comprising the investment, it could be expected that substantively more of this value would become tangible to ECR shareholders, who would become holders of THEMAC shares and/or warrants directly. Any such distribution would require court approval, as well as the approval of ECR shareholders and convertible loan note holders. There is no certainty that any of these approvals could be obtained, and the process of seeking the approvals and, if permitted, making the distribution would take a number of months. Before seeking court approval, it would likely be necessary for ECR to secure an increased level of working capital in order for the Directors to be in a position to make representations to the court with regard to safeguarding the position of the Company’s creditors, which would be customary in the court process. In parallel, ECR remains open to opportunities to dispose of some or all of its interest in THEMAC for an acceptable cash value. ECR has now disposed of its entire shareholding in West Wits Mining (ASX: WWI). The proceeds of the disposal, totalling approximately AUD 170,000, will be used to fund the ongoing activities of the Company. VANCOUVER, BRITISH COLUMBIA--(Marketwire - Dec. 19, 2012) - THEMAC Resources Group Limited (TSX VENTURE:MAC) ("THEMAC" or "the Company") today provided an update on its 2012 core drilling program at the Company's Copper Flat project in New Mexico. During the period August 12 to September 12, 2012, the Company completed, as part of the 2012 Drilling Program, five angled geotechnical core holes totaling 3,609 feet. These holes were designed to provide geotechnical information (rock strength data), and should confirm that the average pit walls can be steepened, which has the possibility to reduce future waste removal. Once the final geotechnical report is received, the design of an optimized pit and associated final reserve and resource model can be completed for inclusion in the Feasibility Study. "The Geotechnical Report is scheduled to be delivered during December 2012 and once we have the report we will immediately begin to optimize the pit," said Andre Douchane, CEO. "Depending on the workload of our contractor, we anticipate having completed the final pit design early in 1st quarter 2013 for inclusion in the Feasibility Study, which is on schedule for completion around the end of 1st quarter 2013." In addition to providing the geotechnical information needed for the design of the optimized pit and the revised reserve and resource estimate, four of the five holes (CNI 12-01, CNI 12-03, CNI 12-04 and CNI 12-05) intersected and confirmed the presence of significant copper-molybdenum mineralization along or near the outer margins of the Copper Flat deposit. It should be noted that planned drill site CNI 12-02 was not drilled, while geotechnical hole CNI 12-06 contained no significant mineralization. "We were excited to see the long continuity of reserve grade present in all four holes," said Ray Irwin, Vice President Exploration. "When combining the results from these four holes with our earlier drilling, we can clearly see that the mineralization is extending to the northeast and remains open to some degree along the deposit's major northeast trending structure." The assay results presented below are based on a 0.20% Cu only cutoff unless there is a less than 0.20% Cu sample within a broader zone of Cu values that equal or exceed 0.20% Cu. The intervals and thicknesses reported are along the core axis. Assaying for the 2012 drilling program is being undertaken at the Skyline Laboratory in Tucson, AZ. Copper and molybdenum values are being determined by ICP/MS, gold by fire assay with AA finish, and silver by AA. Reference standards and blanks were inserted in the sample streams, and every tenth sample was objectively validated by ALS Minerals, Reno, Nevada using similar methodologies. Technical information in this news release has been approved by Mr. Ray Irwin, P.Geo., and a Qualified Person under National Instrument 43-101. Permitting for the return of the project to production is at an advanced stage, and a feasibility study is targeted for completion in March of 2013. The Company is listed on the TSX Venture Exchange (ticker: MAC) and has issued share capital of 74,117,622 common shares (fully diluted share capital 135,648,241). For more information please visit www.themacresourcesgroup.com or review the Company's filings on SEDAR (www.sedar.com). Certain information contained or incorporated by reference in this MD&A, including any information as to THEMAC's future financial or operating performance, constitutes "forward-looking statements". All statements, other than statements of historical fact, are forward-looking statements. The words "believe", "expect", "anticipate", "contemplate", "target", "plan", "intends", "continue", "budget", "estimate", "may", "will", "schedule" and similar expressions identify forward-looking statements. Forward-looking statements are necessarily based upon a number of estimates and assumptions that, while considered reasonable by the Company, are inherently subject to significant business, economic and competitive uncertainties and contingencies. Known and unknown factors could cause actual results to differ materially from those projected in the forward-looking statements. Such factors include, but are not limited to: fluctuations in the currency markets; fluctuations in the spot and forward price of copper, molybdenum, gold, and silver; volatility in the price of fuel and electricity; changes in national and local government legislation, taxation, controls, regulations and political or economic developments in Canada and the USA; business opportunities that may be pursued by the Company; the anticipated impact of converting to International Financial Reporting Standards, operating or technical difficulties in connection with mining or development activities; employee relations; litigation; the speculative nature of exploration and development, including the risks of obtaining necessary licenses and permits; and contests over title to properties, particularly title to undeveloped properties. In addition, there are risks and hazards associated with the business of exploration, development and mining, including environmental hazards, industrial accidents, unusual or unexpected formations, pressures, cave-ins, flooding and the risk of inadequate insurance, or inability to obtain insurance, to cover these risks. Many of these uncertainties and contingencies can affect the Company`s actual results and could cause actual results to differ materially from those expressed or implied in any forward-looking statements made by, or on behalf of, THEMAC. These factors are discussed in greater detail in the Company's most recent Form 20-F/Annual Information Form on file with the U.S. Securities and Exchange Commission and Canadian provincial securities regulatory authorities. Readers are cautioned that forward-looking statements are not guarantees of future performance. All of the forward-looking statements made in this MD&A are qualified by these cautionary statements. Neither the TSX Venture Exchange (the "TSXV") nor it's Regulation Services Provider (as that term is defined in the policies of the TSXV) has reviewed, nor do they accept responsibility for the adequacy or accuracy of, this release. ECR holds 14.35 million common shares and 14.35 million common share purchase warrants of THEMAC. All the warrants held by ECR are exercisable at CAD 0.28 per share; 3.85 million warrants are valid until 3 May 2013 and the remaining 10.5 million warrants are valid until 4 March 2016.